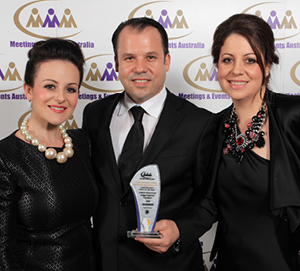 Trust Doltone House to take your corporate event to the next level. Our Sydney function venues at Jones Bay Wharf, Darling Island Wharf, Hyde Park & Sylvania Waters offer a generous portfolio of function & event spaces capable for hosting from 10 to 1200 guests. 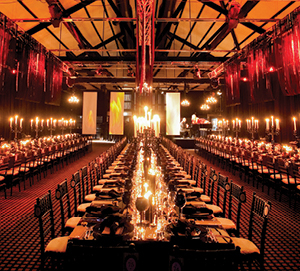 Whether you’re interested in hosting a meeting, conference, exhibition, product launch, gala dinner or cocktail party, our reputation for professional service, world-class cuisine and elegant experiences are why our customers keep coming back. Whatever the occasion, we will work with you in the lead up to your corporate event to ensure all the details are taken care of. From state-of-the-art audio and visual equipment to private break out spaces and our exclusive House of Doltone Styling service, we have the resources to personalise your event and showcase your brand. 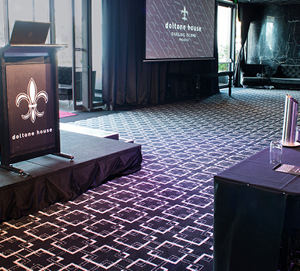 Create a memorable experience and delight your guests to Conference Package at one of the Iconic Sydney Venues that Doltone House has to offer. Set the stage for a successful conference with a personalised menu when you select from one of our Conference packages. 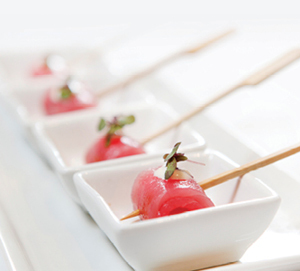 Food and catering is what we are renowned for. Spectacular water views. Award-winning catering. Multipurpose spaces. Our Sydney corporate venues offer luxurious finishes coupled with stunning views. As industry leaders we are proud members of the key industry bodies. Unique partnership delivering a range of benefits to mutual clients. Discover what’s happening within the doors of Doltone House including corporate events, weddings and celebrations. Also an opportunity to experience our in-house ticketed events.